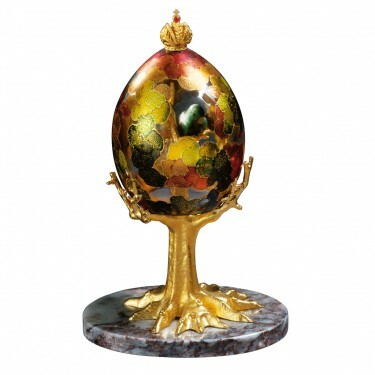 The Tropical Egg is a testament to Theo Fabergé's concern for the world's environment. 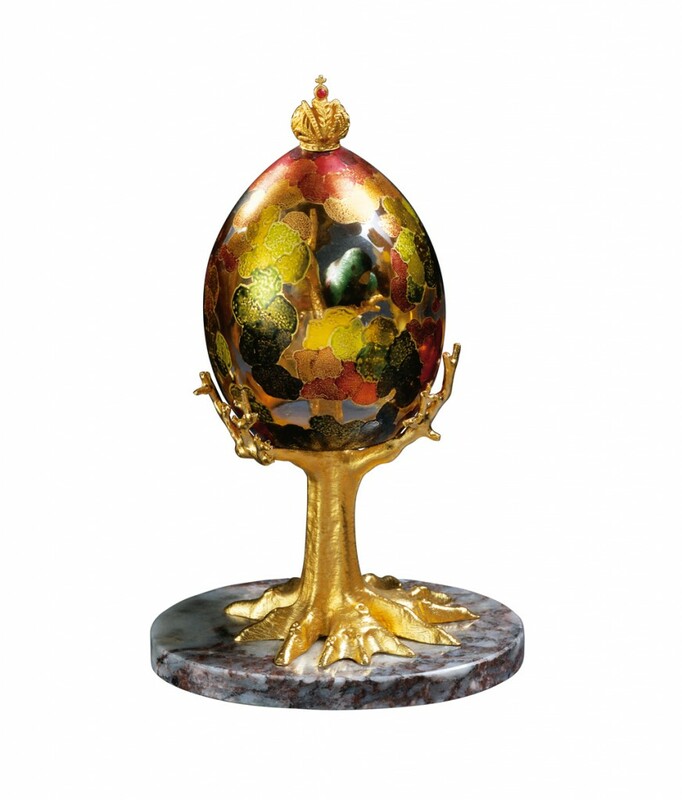 The vermeil tree is abundant with flowering hand enamelled leaves gilded on to the exterior of the lead crystal Egg, symbolising the sanctuary of the earth's forests. 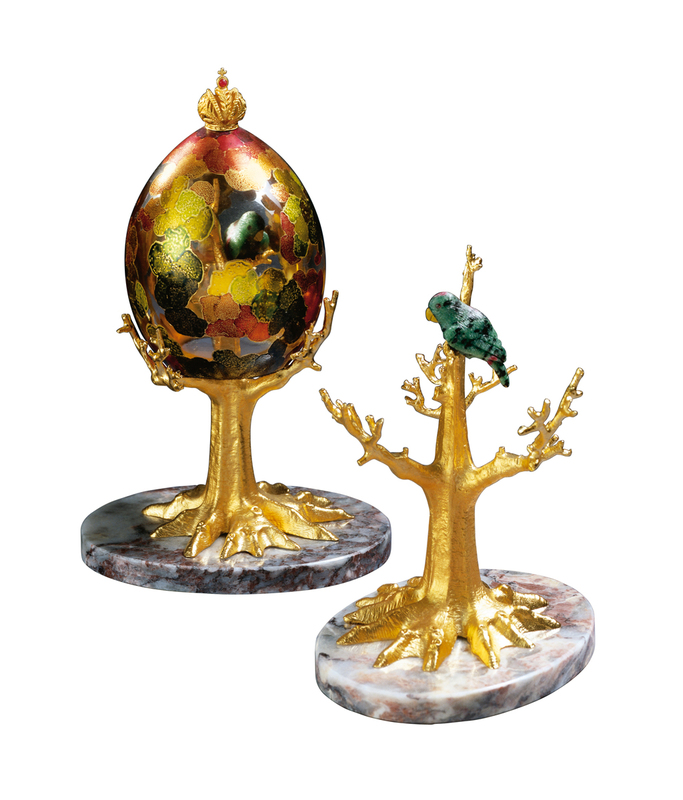 Within the Egg, an exotic parrot made of zoisite, with a yellow jasper beak and cabochon ruby eyes is perched in the branches of the tree. 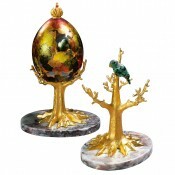 The bird symbolises the majesty of earth's wildlife, also its vulnerability. 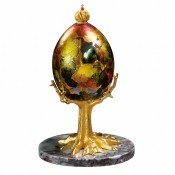 The Egg can be removed to reveal the parrot sitting in the bare tree, serving as a warning to the possible plight of nature at the hands of humans.